The American Cancer Society will try to persuade Oklahoma lawmakers next year to pass a law prohibiting minors under the age of 18 from using indoor tanning facilities. 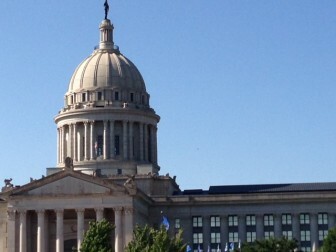 Paula James Warlick, Oklahoma grassroots manager of the ACS Cancer Action Network, said passage of a tanning salon bill is at the top of the organization’s legislative priority list for 2014. A bill that would have required parental consent for tanning salon customers under the age of 18 was passed by the Oklahoma Senate in 2013. But it failed to win House approval. Oklahoma is one of seven states with no state laws regarding tanning, according to the Cancer Society. Forty-three states impose some restrictions on tanning salon use, including seven that have banned it altogether for people under 18. States with outright bans include neighboring Texas and Louisiana. An estimated 650 Oklahomans will be diagnosed with melanoma this year, the Cancer Society says. It is one of the most common cancers among young people. The organization says recent studies have concluded that people who use indoor tanning devices before the age of 35 increase their risk for melanoma by 59 percent. “Tanning bed facilities should be put in the same category as alcohol and tobacco because of the risk factor,” Warlick told Oklahoma Watch. She said an estimated one in four high school girls go to indoor tanning facilities. Among senior girls, use rises to one in three. Warlick said the Cancer Society supported the 2013 legislation, but left it to others to push for passage. The organization has decided to play a bigger role in 2015. “We’re going to take the lead and go for it,” she said. The judge who ruled against a Norman doctor challenging a state law restricting abortions authored more than a dozen pieces of anti-abortion legislation as a state representative.